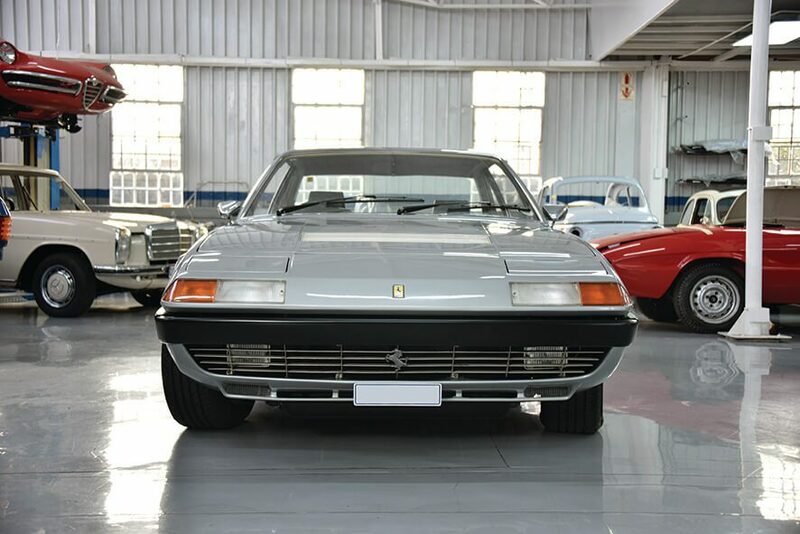 Known as the family man’s Ferrari, this pop-up-headlights model with flowing Pininfarina styling set the 365GT4 apart from Ferrari’s model line-up at the time due to it’s sedan like spaciousness. 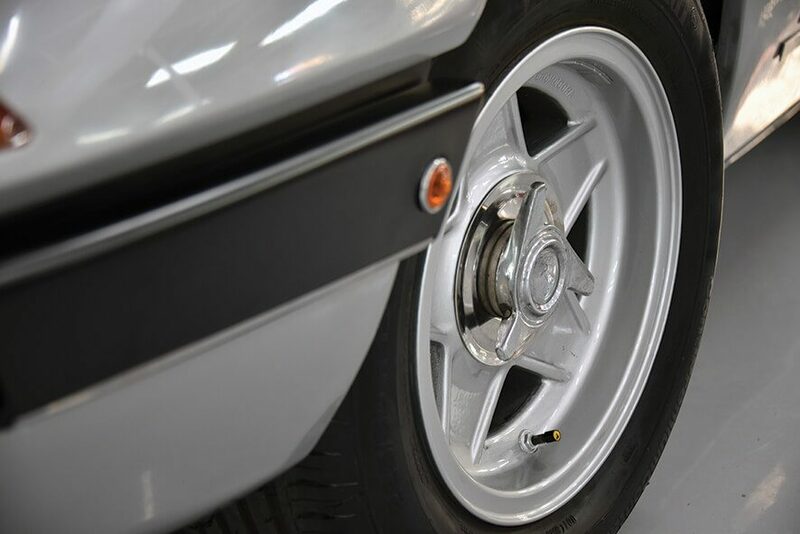 The 365 GT4 2+2 model was announced at the Paris show in 1972, and continued in production until 1976. During this period a total of 521 units, plus 3 prototypes were built, so seeing one in the “metal” is special. Under the bonnet you will find a 250 kW, 4,4Ltr V12, mated to a manual 5-speed gearbox. 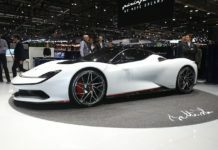 Capable of getting the kids to school at the speed of sound this Ferrari was built with enough space in the rear seats to fit another couple, a first for the manufacturer. Internally the 356 GT4 features an instrument panel and centre console layout of that of a Bond film with classic switches and dials perfect for offloading a rocket or two or maybe the sub-machine gun? Externally the 365 GT4’s common design elements are twin retractable headlights, five spoke alloy wheels, chrome door handle design, and a triple circular rear light arrangement. 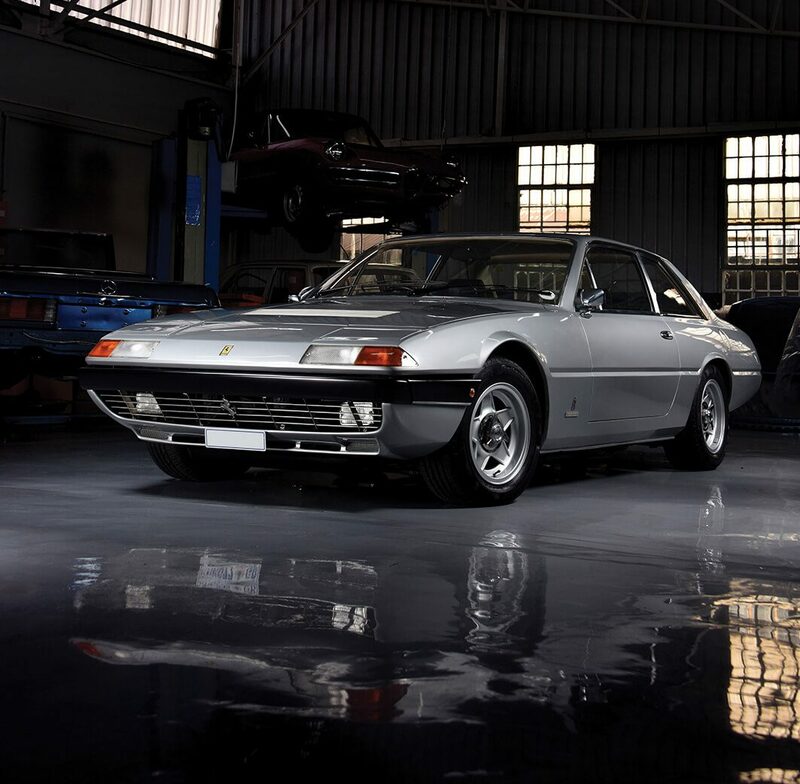 Most of this Ferrari’s body was built and fully trimmed at Pininfarina’s in Turin, and then shipped to the Ferrari factory in Maranello for the installation of the mechanical components. The large windows make for a very light airy cabin, while the carpeted boot, although relatively shallow, is deep, and was built to be capable of holding an adequate volume of luggage for four people. 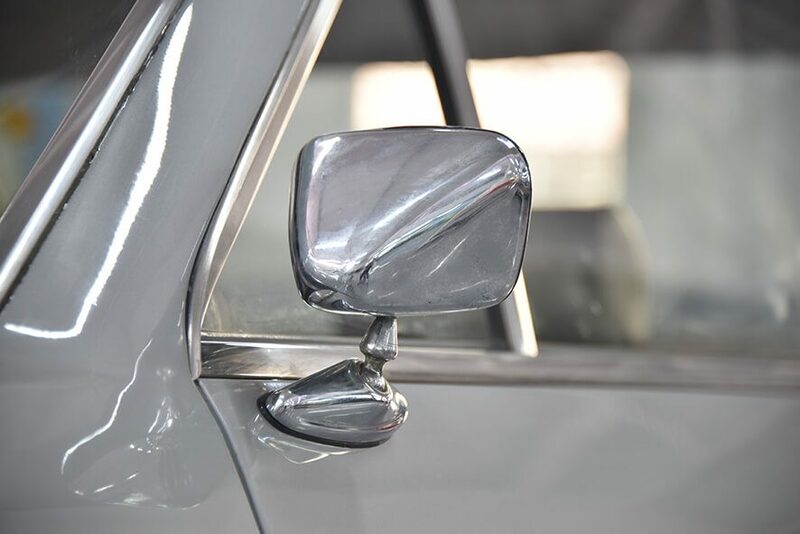 Electric windows and air conditioning were standard features too in the model. If you’re interested in seeing the short video the magazine made on this fine example of the past, check out our Instagram page autorefza. Thanks to the great team at Fuel Customs which brought this beauty back to life again with the incredibly high standard of work that they are able to achieve.